It is designed to stimulate elastin and fibroblast production, lighten hyperpigmentation, remove dead skin cells making skin appear more youthful and radiant, minimise sun damage, decreases skin puffiness and promote intense skin rehydration. Ascorbic acid (Vitamin C complex), hyaluronic acid, propylene glycol, glycerine. It's an award winning formula! The lightly hydrating essence is formulated to help activate skin’s moisture level, preparing skin for the benefits of subsequent skincare products. Powered by a 10% concentration of Probiotic Lysate, from the bacteria found naturally in yogurt, to target the skin’s microbiome and help re-balance and optimize skin health. In addition to strengthening the skin's moisture barrier, a high-performing 8% level of Polyhydroxy Acid is known to deliver antioxidant benefits without irritation, helping to neutralize the visible aging effects of environmental stressors including pollution and harmful metals in air and water. Hyaluronic Acid is responsible for binding more water to the skin and quenching dehydration. This clever formula not only addresses the needs of dehydrated skin, but also a tackles the environmental pollution perils of city living whilst nurturing the gentle but important micro biome of the skin. With three key ingredients, this serum is a multitasking powerhouse to plump, volumise, hydrate and firm the skin. 1. Patented Amino Acid derivative, Aminofil® to target collagen and stimulate hyaluronic acid within the skin. 2. Gluconolactone, a Polyhydroxy Acid and chelator to help to reduce oxidative damage and gently enhances exfoliation for more even skin tone. 3. 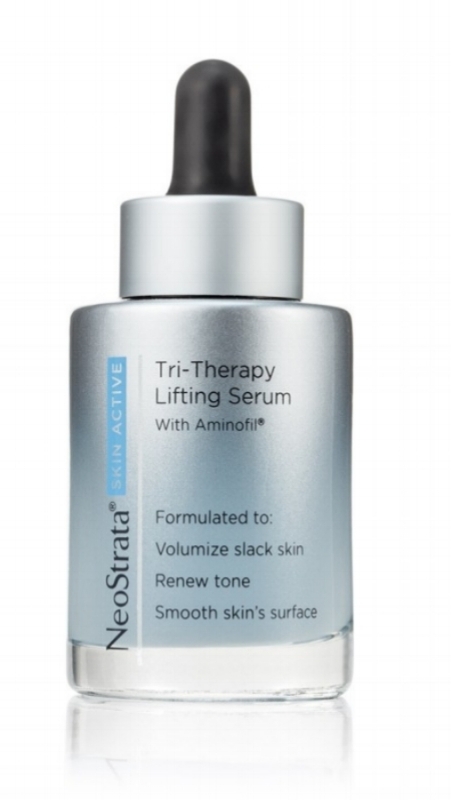 Low Molecular Weight Hyaluronic Acid to penetrates skin’s surface to attract moisture and provide skin with hydration. Although suitable for all skin types, increased benefits are seen in more mature skin and the best results are experienced with long term use of 12 weeks and more.